Might These Be Two Different Woods? Reclaimed flooring for sale. Oak tongue and groove from a 1920's house. Very good condition. Nails are still in the flooring. Two widths of board. In the house the wider were in the bedrooms and the thinner was in the common rooms. They matched up nicely to each other. The last picture is what the thinner flooring looked like in place. 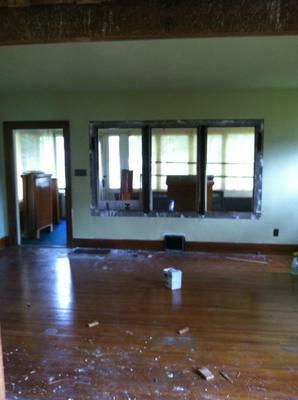 The plaster debris was from removing pieces of trim and windows. The house was in great condition. 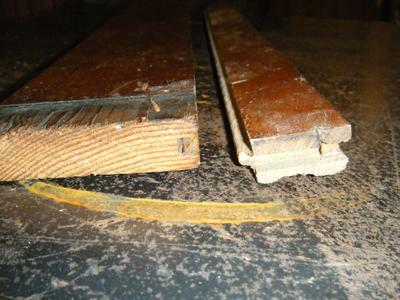 Approximately 375 Square Feet of reclaimed oak flooring from 1920--3.25" width x 0.75" thick. The boards range from 1.5' long to 10.5' long. Approximately 400 Square Feet of reclaimed oak flooring from 1920--1.5" width x 0.75" thick. The boards range from 1.5' long to 10.5' long. $10/square foot for both sizes. Preference will be given to buyer interested in entire lot. Thank you, Eric. This is going to make not only a beautiful floor, but also a durable one. 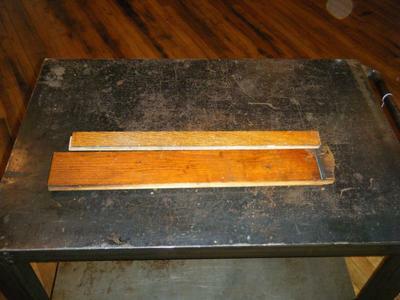 I am referring to those board ends in the photo that clearly show almost a full 1/4" of wood above the joinery. What's not so clear from the photos is the species of that wider material. From here, my guess would be that it is fir or pine. and the softwood everywhere else for utility--basically, what we would call subflooring, today. I certainly hope someone in your area can connect with you, take a look, and make good use of both widths. Folks, you just can't get 10 foot boards in this material, anymore! Here's to a long second life for this flooring! Click here to contact me, if I can be of assistance. Join in and write your own page! It's easy to do. How? 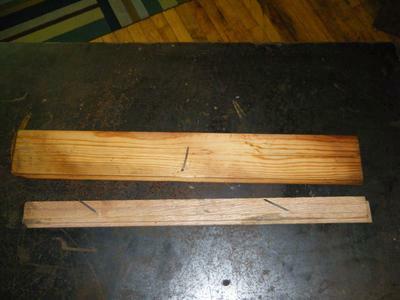 Simply click here to return to Cheap Hardwood Flooring.